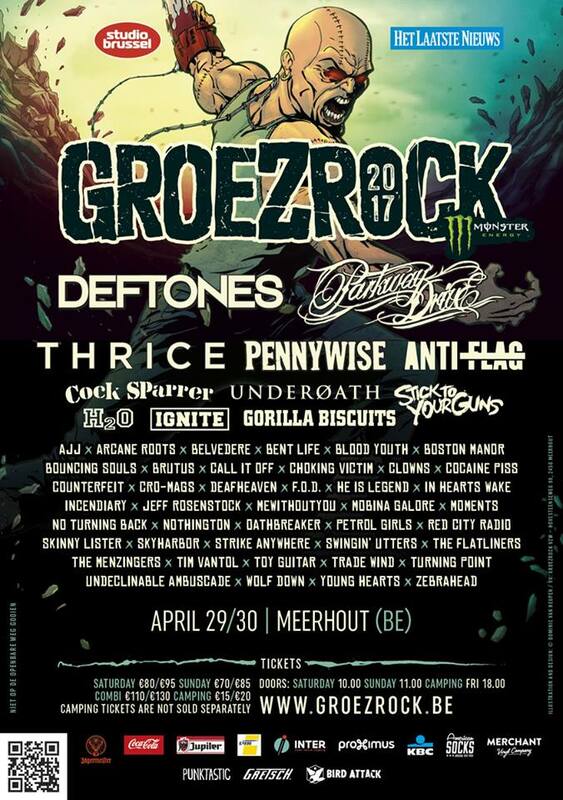 Joey Cape, vocalist of Lagwagon, will be playing the third edition of the Acoustic Punk Meeting, hosted by North Empire Bookings on the camping site of Groezrock. Check below for more details. Cape is also playing the punk festival itself with Scorpios (featuring Jon Snodgrass) on the Fender Acoustic Stage and Joey Cape’s Bad Loud on the Impericon Stage. Last year the Acoustic Punk Meeting was honoured having Versus The World playing. Just like last year, there will be no time schedule for the acts playing this night. You have to have a valid camping ticket to visit the Acoustic Punk Meeting. For more info and other acts to play the Acoustic Punk Meeting, check North Empire’s Facebook event. And while you are at it, give them a thumbs up over here. This entry was posted on Tuesday, April 23rd, 2013 at 8:09 AM	and tagged with Acoustic Punk Meeting, Joey Cape, Joey Cape's Bad Loud, Lagwagon, North Empire Bookings, Scorpios and posted in News. You can follow any responses to this entry through the RSS 2.0 feed.